Flu season is upon us, and we wanted to reach out and let everyone know what to do in case you have the flu, and how to avoid getting the it. This year’s flu strain has symptoms that include fever, chills, body aches, fatigue, headache, cough, a runny nose, sore throat, and sometimes nausea and diarrhea. If you have it, home remedies can help you recover. This includes drinking plenty of fluids. For a fever you might a cool wet cloth on your head or sucking on ice chips. Rest is also a good way to help your body fight the virus. Chicken soup can also work wonders. Over the counter remedies include decongestants and fever-reducers like Tylenol or Advil. If you need them, medical providers can also prescribe anti-viral drugs. These reduce the symptoms of the flu by about 2-3 days. To avoid getting others sick, cover your nose and mouth with a tissue when you sneeze, and quickly throw that tissue away. Please stay home if you are ill to avoid spreading the infections to others. 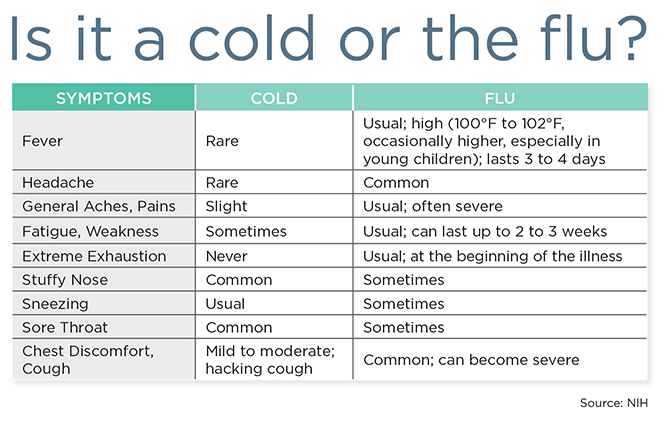 The CDC recommends that you stay home for at least 24 hours after your fever is gone. The exception is if you need to get additional medical care or other necessities. Riverside County health officials are saying that this is the worst flu outbreak in 15 years, and because of that, urgent care centers and emergency room are treating 300% more patients than normal. At Citrus Valley Urgent Care we’re doing what we can to see everyone as quickly as possible, but there are things you can also do to try and avoid the visit. If you haven’t received a flu shot, it’s not too late. Call your office to see if flu shots are in stock. Try to avoid contact with sick people. Wash your hands with soap and water as often as possible. Avoid touching your eyes, nose, and mouth. And be sure to clean and disinfect any surfaces that might harbor germs. Most flu cases won’t need a trip to the urgent care, but if you are elderly or have multiple medical problems or severe symptoms, it might be a good idea to call your doctor for advice.